Balaclava is located in the township of Bonnechere Valley, Renfrew County, Ontario, Canada. Duncan Ferguson and Donald Cameron opened the sawmill, joining some of the nearly one thousand sawmills in Upper Canada. Cameron sold his portion to Ferguson, allowing Ferguson to run his blacksmith shop and the mill. Due to the timber industry in Ottawa valley in the 1800s, Balaclava quickly became a busy settlement and pioneer town. European settlers were drawn to the area because of the promises of lumber wealth. In 1903 a sawdust burner was put in place due to a pollution lawsuit, one of the first pollution-based lawsuits in the Province of Ontario. The sawmill was rebuilt in 1939 after a fire destroyed much of the original, and it continued to operate until it’s closing in 1967 due to depletion of timber. Due to the loss of the sawmill, the residents of the town were quickly lost. 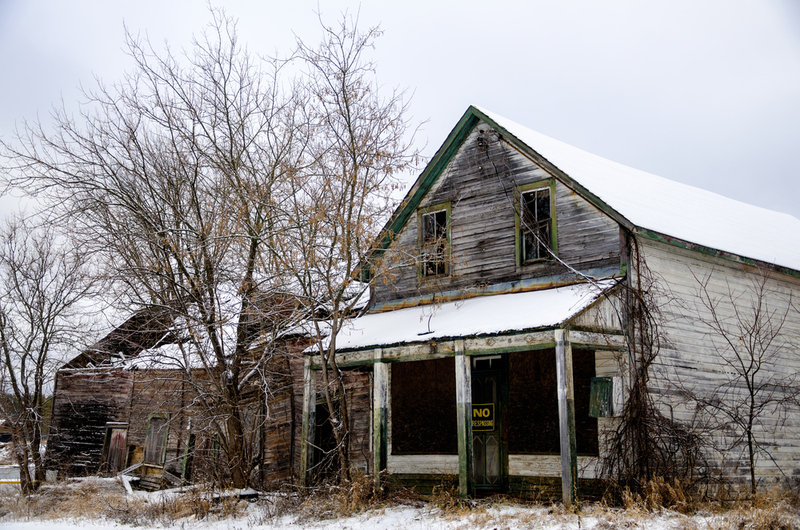 Today Balaclava is considered a ghost town. 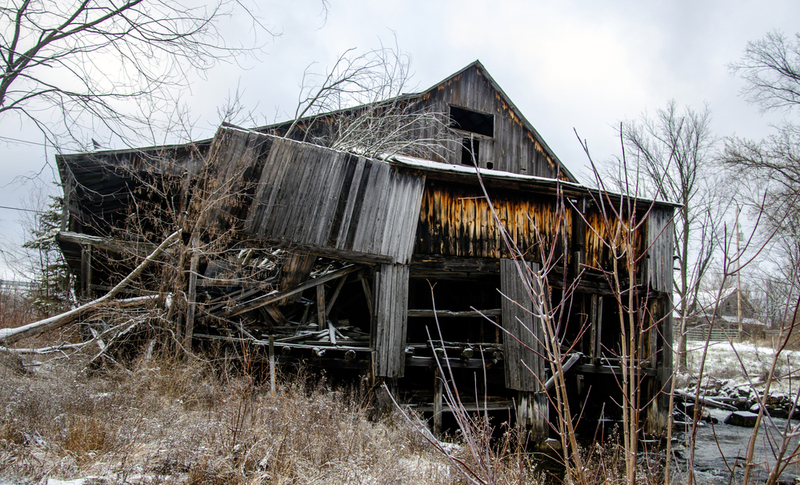 The remains include a few houses, the abandoned store, the connected blacksmith shop, an old dam, the sawdust burner, and the intact 19th century sawmill. There is one occupied house in Balaclava, with new aluminum siding and in good shape. It presents a strike contrast to the weathered buildings surrounding it. The sawmill is not only under threat by the elements, but also by the owner who threatens to demolish the mill if people continue to trespass and disrupt him. The Balaclava sawmill was the last water-powered mill to operate in Ontario, and the still standing sawdust burner was the first of it’s kind.